Last week I went to North Carolina to a family member’s funeral. Typically I am not able to attend these types of gatherings because of my very busy schedule. I also don’t particularly care for long car rides. However, this time I felt compelled to go with my dad and mom. I love being with my family. So I asked my oldest brother and his wife to drive us in our sprinter and I asked my sister Darnice to go along as well. Even though the trip was surrounding unfortunate circumstances, I was excited to see my cousins whom I had not seen in years. I used to spend a few weeks every summer with them so I could not wait to hug their necks and tell them how much I loved them. Knowing that this ride would be five hours long, we brought movies, blankets, pillows, and snacks. I also had my ipad and some work that I knew I could work on while riding. Not even halfway down the road there was a cry for a restroom break. So my brother pulled into one of those rest stops for everyone to use. Now, while I was in the restroom, someone had this grand idea to sit down and eat. I wanted to grab and go because of the anticipation and excitement to see my cousins. Well this of course added more time to our trip to North Carolina. We actually sat there for over an hour eating food that none of us liked. So yes, I complained that the food was nasty and I was ready to roll so we could hurry and get to where we were going. As soon as I sat down Holy Spirit started to minister to me. He asked me what was my rush, and as I pondered His question for a minute I had no answer. I knew He was about to teach me a lesson. He said your destination has been set. You know you are on your way to NC so relax and enjoy the ride. 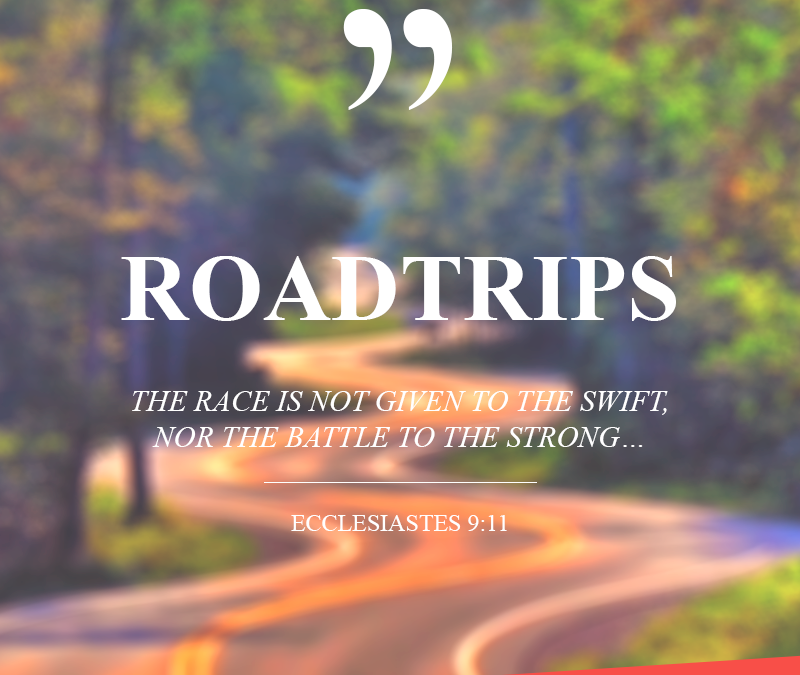 THERE WILL BE PIT STOPS ALONG THE WAY, BUT IT’S OKAY! Thanks this really ministered to me. Praise God for the time being now and the person being me to relax and enjoy this journey of faith. That’s right….where we are going is not moving…it will be there when we get there. Thank you, “Lady Wisdom”. Yes, Dr Dee Dee I receive. I have been trying to get my promotion for a few years now. Well I have been promoted in a different way. I have been selected for a year long detail. My agency is responsible for transitioning one President out of the White House and another in. This new adventure starts March 1st. So I will enjoy my journey no matter what. I come in agreement with you for the new job! Thank you so much for sharing Dr. Dee Dee. I needed to hear this as I anticipate graduating this coming May with my MSW! It’s been a very stressful/fearful semester for me. It’s now time to enjoy the ride since I won’t experience this again. Thanks I needed to read this. I receive in Jesus Name Amen. Thanks you the word. All I can say is Yes, and AMEN!!! As I prepare for my trip to the Bahamas, I thought how to apply your word in my life. Just like you said in life we get so busy and anxious and when we look up we missed something or maybe even left something. Holy Spirit revealed to me through your word. I will slow down and enjoy the ride in life and meditate on Gods promises. Good teaching. Ahh! I love it. I needed to hear this because I’m always in a hurry and have not enjoyed the trip. Great word, I am more encourage on my advancement; at a steady pace. Thank you gor sharing women of God. Yes, I will relax and enjoy my faith journey. You are so right. This morning I was spending my time with the Lord, but there were so many things pulling on me; our new facility, membership issues, my secretary’s health, my only daughter’s health battle. My little grandson’s care. It all came to a head when it felt like 100 lbs were on my chest and squeezing my heart. The Holy Spirit said” your only help is in casting your care and relaxing.” I repented for worrying, and obeyed. I can’t believe I allowed myself to get so stressed out. Thank you! Great word of encouragement …. This is so on time for me. I needed this NOW! Praise GOD. My thoughts also. Thanks for the encouraging reminder. I agree totally, you must seized the moment. Create memories, laugh and enjoy where you are and embrace your journey and joy that comes with it. I love this Dr. Deedee! A lot of us struggle with this daily and really what’s the rush? We can still just enjoy the journey while we focus on the promise and not the process. Thank you, I’m always rushing here and there. I need to slow down and enjoy the trip. This is a good nugget. Bless you woman of God. Oh my Dr. Dee Dee thank you so much. I am not enjoying the trip of my life because I want to know my purpose and Being distracted by the cares of this world, this blog made me stop and think. That was,a timely word very encouraging. I am thankful to God for you. This word stopped me in my tracks. Dr. Dee Dee, your words of wisdom ministered and reminded me to capture the moment with my heart, soul and spirit. This past weekend family and friends celebrated mu retirement with me. My husband bought me a beautiful vase with flowers that I wish could live forever but I know they won’t so I will enjoy the moment! The retirement dinner was awesome and I enjoyed the moment. Blessings!!! Thank you Dr. Dee Dee. I’m listening!!! Thank you. Thanks Dr. Dee~Dee I was about to give up on my walk. i really felt like what’s the use!! This was very encouraging. Enjoying your Instgram and new website. Praise God! Please never give up!! That was a well needed word for me. Amen and Thank you Dr. DeeDee! We really do appreciate you and your family. This is another great word! I’ve been enjoying your blogs thus far. Thank you for the reminder…relax and enjoy the joy! Don’t be in a hurry, Tasha. Thanks Dr. Dee-Dee, for always thinking of us all, great word of wisdom. I love it! Stay encouraged! Thanks for the reminder in life there will be pit stops along the way. Continue to be a blessing to the Kingdom Woman of God. Thanks for the reminder Dr. Dee Dee, so timely but Gods word always is. Thank you Dr.DeeDee for reminding me to enjoy the journey along the way into destiny. Praise God for family, I miss being close to mine. I have no family in the DC area. Thank you for sharing your beautiful story. Thanks Dr. Dee Dee, for the encouraging word of wisdom. Sometimes we can’t see down the road but like you said we have to walk by FAITH and receive that GOD has our plan we just have to walk it out. I needed to hear this tonight. Although you are speaking to us women, I feel compelled to share this with my husband as it will be a blessing to him in regards to a situation we were discussing earlier, a delay or I may say a pit stop. However, we will keep our mind on God’s word and continue to meditate on his word day and night until it manifests in our life. Every delay is in our favor! Thanks for sharing this Dr. Dee Dee. I’m always reminding myself to savor the moments and appreciate the lives God allow me to touch along the way. Love you! Sometimes we are to busy to be quite and hear Holy Spirit speaking to us, always on the go, rush, rush, so thank you Dr.DeeDee, for reminding me that it’s already done, so I can seat back and enjoy the trip. And being the voice of Holy Spirit when I am to busy to hear Him for myself. In a world of rush rush rush it is so important to slow down and enjoy the journey. It will make the destination that much sweeter. Thank you for that reminder. Thank you Dr.Dee Dee, for the reminder to slow down ànd enjoy the present moment. God bless you today and always. Thank you Dr. Dee Dee for sharing and reminding me to stop, relax and enjoy the trip. Awesome! Thank you Dr. DeeDee for an on time word. I am currently in school(university) and I am so anxious to finish. I want this process to be over. Your message touched me to slow down, I do find myself rushing to the next assignment or the next task. Instead of getting the full teaching I end up short, with it sometime reflecting in my grade. I will take my lesson in now for full understanding and not just rushing to get it done. Well, I was presently surprised to find Dr. Dee’s blog….thanks for another avenue of reaching out to the Women, we always need much encouragement, and you certainly have it together, in EVERY area of your life, that allows you to pour out. I hope there will be more “Infusion” dates to become available, some of us don’t hear about them, until they are all sold out. Your messages are always insightful, you are doing a great work. Thanks for encouraging us to “smell the roses”. That was good. My first thought was that is the fun part those pit stops while traveling. I know each year when I travel south my husband and I look forward to the pit stops. We have so much fun sight seeing and shopping. However I would have never thought to apply this to my life in general. For I for one can be quite inpatient at times. Thank you so much for this great teaching. I love that you and Pastor Mike teach/preach anything that is not nailed down. It is so transparent and readily applicable to everyday life. I love, love, love you both and thoroughly enjoy sitting under the tutelage of you both. Thank you Dr. Dee Dee (Dr. P P) for encouraging me by your audacious walk to be bold and confident in all that I do! Thank You for sharing this blessed me now I can sit back and enjoy the ride. Its already predestined my destination. Thank you that was very inspiring and a on time word. I was just asking God in my prayer time what am I doing wrong this was my answer slow down and enjoy the trip…..Love you sister Dee Dee! Good morning thank you so much, I plan to enjoy and embrace this wonderful ride. Thank you, so much Dr. Dee Dee!! After my battle with breast cancer and I won 5 years survivor!! I now enjoy every moment of my life big or small. Thank you, for that reminder!! And since this years theme is “Moving Mountains” with an overlfow or carry over of “Realized Dreams” I still receive the “REST”. Great word- short and sweet!! Amen, I’m going through a job transition right now. I thank God for his word “we walk by faith and not by sight”. This blog has truly encouraged me because I was troubled with the fear of the unknown. But I will relax and enjoy the ride. Thanks Dr. Dee Dee. This was so for me! I was just speaking with a friend about slowing down and enjoying life on the way to my destination. This was a great encouraging word, right on time. A couple of Sundays ago Dr. Mike had told us to celebrate March 20 because we will never see that day again. That has really stuck with me and each day I make a point of enjoying the day as I will never see this day again. However, I can take the time to rejoice and take in each moment. Thanks for a confirmation of my pastor’s Word. The two of you make such a great team and I thank you both for changing my life! Wonderful blog Dr. Dee Dee. This was for me. Relax and enjoy the ride. Sidebar.. When in the mobile view of this page the comments are not aligned.I’m not sure if you can see it. However I wanted to let you know. This is for me on so many levels…thank you! That nugget was for me!